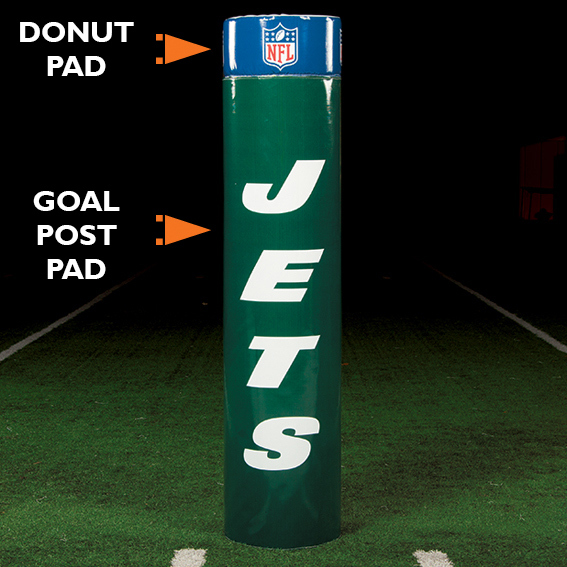 The DONUT PAD sits atop the Goal Post Pad. Offers high visibility branding space to promote conference affiliation, game day sponsors or to recognize special events. For custom Donut Pads please call the Gilman Gear office at 1-800-243-0398 to place your order. If you wish to order pads without any lettering, please proceed with your online purchase. Colors Available: Blue, Navy, Columbia, White, Green, Kelly, Forest, Black, Red, Maroon, Purple, Gray, Yellow, Gold, Orange, Turquoise.